More scaremongering nonsense. As a physicist I cringe to read such speculation. Solar power is simply not economically viable today. There is no shortage of fossil fuels for the forseable future so please stop scaring our kids and stop encouraging economically disasterous "renewable" policies. I believe that liquid fuels will be hard to come by for our children because of increased demand by China and Asia today. The techno fix can be in going "back" to the trolley days. Use them to charge LiFePO4 batteries (or better) for off trolley line routes, as electricity can be generated in so many different much cleaner ways. Also, graphine (for advanced lightweight building material) and GaAs, the ultimate solar cell material...Can they be combined? Our kids will say "why didn't you prepare in the face of melting ice caps!". Well, Jeremy, I see this is merely an argument from authority. But you offer no figures to counter the arguments set out in the interview. I'm certainly scared. It is true that there are enormous amounts of hydrocarbons left in the earth's crust, but we have used most of those that are easy/cheap to extract. So, the price is set to increase because the EROEI is bound to increase. You will have to swap more of your labour for the same amount of fuel. You won't be able to do as much. Your lifestyle will change. Your children will not be able to 'spend' as much energy as you did. The fracked gas you are now enjoying is (obviously) the easiest/cheapest to extract, and that is why the price has dropped. My prediction is that it is a 'blip' What is your prediction? I'm sorry you think it's scaremongering. I, too, am a physicist; have been for the past 55 years. I have been a long-time follower of Tom Murphy and have enjoyed his discussions in his Do the Math blog about the various means for converting, capturing and using energy. This interview is a fine summary of much of his work from a much higher level to help people compare various possibilities open to the human race. My most recent studies have been on scenarios of the interaction between resource depletion, climate change, and over-population. I have tried to explain in story form what the world can expect if they continue the current trends. Tom's works have been most helpful in my research, along with the words of a myriad of other doomers, optimists, and denialists. Near the end of the interview Tom skirts around the basic problem we have as a species: there are too many of us and we are using our stores of energy so fast we will run out before we find a replacement. I learned in physics that the flow of energy is what controls the rate of reaction, and when you exhaust your supply of power, something has to stop. Jeremy's concluding plea, "please stop scaring our kids and stop encouraging economically disasterous "renewable" policies," is sad. My generation failed to consider the unintended consequences of over-indulgence, and my kids are continuing those habits for the most part. My grandkids are the ones who will suffer from this trend. I feel it is necessary to try to scare everyone out there to get the trend line moving in a more sustainable way so that at least some of the human race can survive in the coming years. Sam Penny, author "Was a Time When"
Commentary such as Tom's is a call to inaction, a call to self-division and self-defeat. First, the claim in the headline is flatly illogical. No matter how quickly or disruptively energy descent were to occur, it will not and cannot lead to the extinction of humans. Could many die off from the lack of resources, wars for them, and simple system disruption creating otherwise unnecessary shortages? Yup. Sure. But extinction? Nowhere near it. Second, the false dichotomy of climate vs. energy is just bizarre. They are completely and utterly linked and cannot be de-linked. It's just crazy talk to imply otherwise. Worse, in terms of policy, by bifurcating the discussion this way, you are guaranteeing inaction because these two groups will be advocating against each other instead of working together. It freaks my poor mind out to watch otherwise intelligent people commit sui-genocide like this. Third, continuing to add 2 - 3 ppm of CO2 into the atmosphere will lead to a level of warming that will disrupt the planet on every level. Why such people think that a completely destroyed ecology is less of a problem than not enough energy for 9 billion people is beyond me. The argument is always that energy descent will end the fossil fuel problem. This is dangerously uninformed. The problem is momentum. The poles and ice sheets are already melting, and even if we end ALL emissions today, the planet will continue to warm to 2C, period, as heat in the oceans balances with heat in the atmosphere. But the energy already in the system has a high percentage chance of being enough to melt the ice completely. And that leads to massive amounts of methane emissions from the Arctic permafrost and subs-sea clathrates. There are something on the order of 4x, or more, as much carbon in the permafrost and clathrates as currently in the atmosphere. Just 1 or 2% is enough to lead to uncontrolled methane emissions that would overcome any reductions from human sources. Does Tom not understand the Precautionary Principal, or does he merely dismiss the science? Thermokarst lakes in Siberia increased 3x in well under ten years during the last decade. The largest sea bed emissions noted two years ago were tens of meters across. This summer and fall an emergency science mission found areas of 6/10ths of a mile or more! Tom has gotten this wrong before, and is still doing so. You may as well be a climate denialist, Tom, for your badly flawed analysis has the same effect of delay and inaction. Climate and energy policies must be closely and intimately linked to achieve the changes we need in the time frames required. I'm a farmer. I think we need to prepare ourselves for financial collapse, societal collapse, energy collapse, food collapse, and a dramatically shortened lifespan for most of us, similar to the collapse of the Roman Empire. TEOTWAWKI. All empires collapse, no exception, zero, nada. How to cope? We need to live in the moment, abandon our expectation of a long life, and make the most of today while we try to help our little corner of the world. The few of us who survive the coming chaos, crime, famine and disease will probably have to live an Amish-like (electricity-free/auto-free) lifestyle for several generations, perhaps a century or more. But since I live near Amish, I can tell you, it's not a bad life at all.... and in many ways, much better than our lonely, disjointed, depressing, high-tech way of life. Excellent, practical overall analysis of the situation. Obvious from comments that not everyone is receptive to Prof. Murphy's analysis. Why are so few people thinking of whole systems? Is the 'evolution of thinking' something we need to address in education? Why are established facts these days seen to be optional or subject to polarising interpretation? Grasping a few ideas or ideologies and excluding others can lead to a partial or distorted truth at best. Making decisions based on partial truth is foolish at best. Let's establish the bottom line : the value of the individual, the oneness of humanity. Let's respect all forms of life and the integrity of ecosystems. Let's withdraw tolerance and financial support from governments and corporations engaged in lying, stealing, sickening and killing to serve their own interests, whether these are wealthy elites, ratial, national or corporate special self-interest groups - there are many of these. And have we forgotten: the value of human life is spiritual awakening and the realisation of love and wisdom. How about building world-wide concensus on human values and the issues that are critical to our world as the foundation for the authority of a planetary representative government: a super-national sovereignty that carries the mandate for the welfare of our world. I agree with him but the whole problem is more complex and it's not just about oil or coal. The truth is that it also concerns other natural resources we are gradually running out of and little attention has been paid to it thus far. I was surprised when I read about these resources which are not so well known but whose depletion would pose a serious problem for some industry sectors especially for the world of information technology. I am really concerned about whether the scientists will be able to find an effective solution to this problem other than the devastation of one of Earth's most valuable natural resources – the ocean as suggested in the article. The discussion or the question-answer here shows a lot for peoples that want to know what the importance of the energy is and at what stage the world is actually on liquid energy, the crude oil. The associate professor, Dr. Tom Murphy clearly answered “...that a peak in global discovery in the 1960's must be followed by a peak in production some decades later is unassailable”. Everybody can see on his sentence two parts, part one that the peak oil discovery is seen in the 1960, and part two that “... a peak in production some decades later is unassailable”. Both these parts on my opinion are true. The future oil discoveries will continue but the discoveries will be scarce and cannot complete the demand always on increase. I will accept and the second part of his expression that the peak oil production (conventional) has arrived, but on other side I will add that the oil production can increase moderately 5-10% more than the existing production, if the investments will be done in time and at the level required. Discusing the oil resources that are discovered and are on depletion actually, or shortly, on a time when we know that these resources are estimated 9.5-15 trillion barrel oil and that we have produced only around 1 trillion and another 1 trillion will be produced within 3 coming decades, the math shows us that the known technologies will live in the tiny pores of the rocks, about 7.5-13 trillion barrel oil. This oil burred thousands of feet underneath our feet, is and will be the resource that the world must invest efforts, R&D and money, to solve the energy problems on transition from non-renewable fossil fuels to renewable clean energies. My believe is and I can prove before the world, that 10-25% of the oil buried on the tiny pores, and be produced with rates we require and fuel the economy for other 2-3 decades. The 10-25% more, by doing the math will be 1.3 to 3.2 trillion barrel oil. To bring this oil on production we need reasonable investments than can be afforded, and the crude oil price will be produced with profit for investors and with affordable prices for end users. What I added here, do not exclude the peak oil but this is giving possibility to gradual transition to other renewable energies, and this transition time is estimated 5-6 decades. Hopefully what I write will have some interest for future cooperation. The world is awash with oil resources. No panic pressure. I respect your thoughts and the calculations. And your calculations are correct, because the calculations take on account many facts proved until now. I will accept the conclusion that the IEA chief economist Fatih Birol gives to us is true and based on deep studies. He said: “We think that the crude oil production has already peaked, in 2006”, and I will add that he speaks only for conventional oil reservoirs. I will accept that the decline of oil reservoirs on decline is high, and it can be 5 % that you suggest on your website, or it can be 4.5-6.5 % or quite different but around all these values. The oil reservoirs, all have the buildup production time history, the peak and the plateau production, and the decline production history. Altogether, all the reservoirs in a certain area, or on a continent even in the world, will have analogue production history, and I will accept that the production history has a peak, and after can come a plateau time and later the decline time, like the famous geologist K. Hubbert curve, and his correct prediction for peak oil in USA. You discourse the net energy are the so called EIER coefficients, and that the energy input related with the energy return coefficient in crude oil production history has decreased from 100:1 to 3:1 on the case of producing oil from tar sands and you call this ratio as pathetic. You does not hurt anybody with this, but I will consider this ratio, as a ratio that express efforts to produce crude oil today and match the demand with supply. I will consider the crude oil production from tar sands, as a big achievement, an achievement that opens the way for producing the heavy oil and bitumen all over the world and theirs amount arrive trillions of barrels in the porous rocks, and billions of oil that can be produced with the known technologies, if the world will need that oil. I say that it will be produced and the world will need those billions of oil. 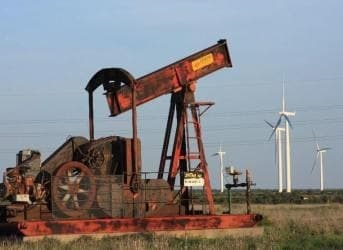 If it will happens, that overnight will be discovered other energy resources, a renewable clear and competitive on prices with the crude oil produced from tar sands, then the world will not require the production. This does not forget, will benefit you and me, and will benefit to all mankind. I understand that the crude oil production from tar sands with output-input energy ratio 3:1, is exceeding the limits that Mr. Charles Hall, at the State University of New York, has calculated that “it is not possible to run our complex civilization on a net-energy about 6:1”. The crude oil production from Canadian tar sands needs a lot of energy to be produced and the cost of production is high. The quality of the crude from these resources is not the same with the low viscosity oils, or conventional oil which are easier to be produced, require less expense, but their price is much higher. The market has rules, and the byres do not pay more when the quality is lower. However, the long efforts and the high technology developed from Canadian oil industry, and with high crude prices, have done that tar sands are economic at present time. You suspects most of the industry cheerleaders talking about “giant discoveries” and “energy gluts” when you mention the energy output-input ratio, and express a doubt if they know this! I will not defend them on any direction, but I will appreciate every discovery they do and I will join them that the world is awash with oil resources. Taking on account the conventional oil reservoirs and unconventional oil reservoirs, the heavy oil and bitumen, the world has discovered 9.5-15 trillion barrel oil resources. I will not consider the Kerogen the world has on oil shale because the Kerogen is organic un-matured residue within shale, and it is not oil. I agree with the analysis of the situation that Mr. Murphy presents. I also agree that climate change is something which will take effect decades from now(in a serious way) - if it even gets to that point - while the energy crisis will get going in a serious manner this decade(if it hasn't already and the continued global slowdown is masking this to some extent). Mr. Murphy calls for population reduction and conservation. Neither are realistic. How will population reduction be done voluntarily? When China instituted it's one-child policy it still took many decades before it's population peaked(and it hasn't peaked quite yet). And China is a country of strict laws. Good luck with the same in India, Africa or other parts of the world. And what's the alternative? Selected genocide? Simply impossible to carry through and even if it was possible it would be immoral. Energy conservation follows the same routes. The West has some slack yet to cut, or at least North America and to some extent Australia. But how much? And much of that slack would have to be cut under recessionary conditions. Permanent recession tends to be breed revoultionary atmosphere. And even if this was done, China and India will consume so much oil that it will nullify this and even add more consumption. And to this mix you have not only stagnating oil production but even faster declining oil exports from the oil producing countries. So the path cannot be to go back, because we can't. Mr. Murphy decries what he dismissively calls "technofixes". It needn't be that dark. One thing human beings have a very hard time understanding is exponential change. We think in linear terms. What will solve the energy crisis won't probably be another energy resource(at least first) but rather efficiency in our daily life. For instance, you have artificial meat grown in labs on a functional basis. You could get up a quite large production of this within 10 years. This would free up a lot of fossil fuel usage. You have the advent of nanotechnology which could be even more dramatic. We are not 40 years away from that. If you follow the field of genetics as closely as I do, you know that we are talking enormous innovations within a timespan of 5-8 years from now. Perhaps not the science fiction narratives but changes so great that they will redefine what people talk about being human. The final chapter on this is far from written. But I do think that by 2025, or even 2020 we will be able to estimate if we face the challenges of the singularity or of imminent decline. I think many would be surprised. Mr. Murphy does not seem to want to hear that all so called "renewables" are supported/developed from an infrastructure of fossil fuels, huge mining operations, toxic chemicals and environmental degradation. I have emailed him this various times. As an aside, I had my first photovoltaic panels in 1983 when I lived off the grid.Presently at my new home we have a 3kWh grid tie system. My point of view changed when I looked at the total system. Please. Natty gas is $2 mbtu and we have to hear from some Doomer about how ***all the energy is going to run out****. The most exciting energy tech this guys heard of recently is " artificial photosynthesis". Really? He's excited about " artificial photosynthesis" and skeptical about shale energy? The latter is a half-a-trillion (at minimum) industry employing hundreds of thousands of people and providing dirt cheap industrial energy to the largest economy on the planet. The former is some esoteric way of capturing solar power that might provide 0.1% of the energy mix in 20 years time. Cmon oil price! Don't go all wobbly on us. Let's get back to where the real energy is - oil, coal and gas.
" artificial photosynthesis" over shale gas, gimme break already. Tom Murphy presents a very knowledgeable story...amazing.! 2...Nearly all the world has reached below 2.1 children per woman. Increasing living standards. There's just enough space on Earth for this. See stuff by the Idsos in AZ....for a start. Whats wrong with real photosynthesis? Artifical meat? Whats wrong with the oyster mushroom? Grown in glass jars or plastic bags!